Social marketing allows you to enjoy prime real estate where your Asian customers are: social media. Across mobile, desktop, and tablet, social media users are engaged and prime marketing targets. Across China, Korea, and Japan, The Egg offers experience and native experts capable of helping connect your brand with your target market. With both organic and paid social, the key is understanding your target market and how they are likely to interact with your brand. As part of our social strategy, we understand where your target market is, how they are using social media, and how best to position your brand to connect with them effectively. Social media platforms offer high engagement and refined targeting–making it easier than ever to get in front of potential customers. Building long-term relationships takes a consistent and unified approach. We help throughout the entire social life-cycle, from pushing paid promotion to on-going engagement. Performance is only actionable when results are analyzed and reported correctly. Our team of digital marketing specialists helps to convey on-the-ground realities and strategies that drive performance. We believe every brand should be operating paid social in China. 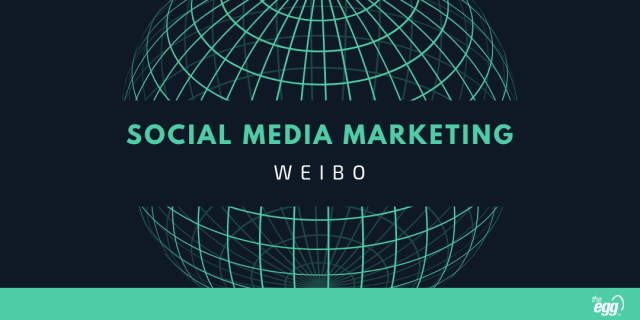 With Weibo and WeChat, your brand has access to a huge poplucation of potential brand advocates.